Alopecia areata is an incurable but treatable autoimmune disease that causes hair loss. White blood cells attack the cells in hair follicles, causing them to shrink and dramatically slow down hair production ultimately causing hair loss. 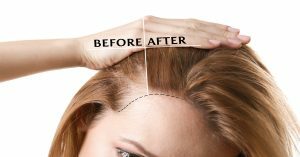 Alopecia areata can affect various parts of the scalp at different times meaning as hair grows back in one area, hair begins to fall out from another. And according to Web MD, about 10% of people with alopecia areata may never regrow hair. 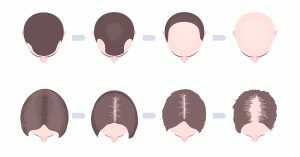 To learn more information about alopecia areata feel free to read through any of our blogs below. 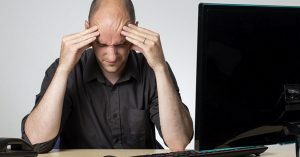 Hair loss can be difficult enough without having to deal with misinformation. 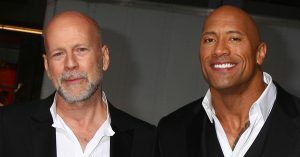 People who are losing their hair often deal with negative feelings and lack of self-esteem because of their condmition. 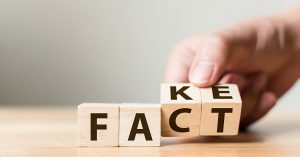 It can be hard to take the first steps towards finding a permanent solution, but it can be complicated by all of the information and the myths out there. At RHRLI, we have the best permanent solution to hair loss you can find. It’s called the ARTAS® System and it uses robotic technology to give you a minimally invasive hair transplant. At RHRLI, we know that hair loss affects people from all walks of life. We see people from all age groups and all types of ethnic backgrounds. Hair loss and thinning hair don’t discriminate against anyone, but sometimes it seems like it skips over the beautiful people of Hollywood and other celebrity playgrounds around the world. Anyone who’s ever seen a Bruce Willis movie knows that isn’t true. Celebrities fight hair loss and thinning hair the same as people from all other walks of life, but unlike us regular folk, we read about famous hairlines in tabloids, magazines and see them on entertainment shows. September is Alopecia Areata Awareness Month. Alopecia areata causes hair loss and affects 7 million Americans and 147 million people worldwide. It’s the third most common type of hair loss. 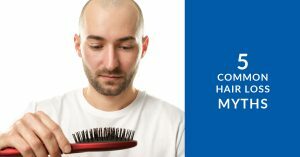 Unlike several other types of hair loss, this condition is caused by a disease. Alopecia areata is an autoimmune disease, for which there’s no known cause. At RHRLI, we’re interested in more than just healthy hair. We’re also interested in making certain our patients understand how health issues affect hair loss. One question that often comes up involves exercise. How does exercise relate to hair loss? Is it helpful or harmful? What types of hair loss are related to exercise? Are these types of hair loss permanent? 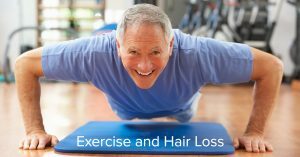 RHRLI wants you to know about the relationship between exercise and hair loss. It’s a question we hear from time to time. 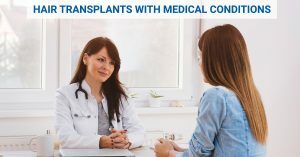 Does a prior medical condition prevent you from being able to have a hair transplant? At RHRLI, our patients come to us looking for a permanent solution to hair loss or thinning hair, and we have that solution. It’s called the ARTAS® system and it’s a state-of-the-art system that uses robotic technology to give you a fuller, healthier head of hair. Society has conditioned us to believe that thinning hair is something that happens to men as they get older. But what about older women? 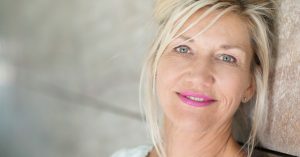 Hair loss can happen to anyone and thinning hair can be a particular problem for older women.